"Short game has always been his forte and he has brought it to majors before, finishing top-eight in both the 2016 US Open and USPGA. Indeed, during that season and 2015, Summerhays was very consistent in the big championships on tough courses." This may not be the most significant week on the golfing calendar, but it is certainly one of the more interesting. A new format at the Belgian Knockout and the showcasing of unique course at the Byron Nelson Championship that looks set to host major championships in the not too distant future. Nine-hole knockout over the weekend may not be to everyone's taste, but I think this event could become a cracking punting heat - especially in-running. For a detailed explanation of how the format works, check out Steve Rawlings' comprehensive preview. He mentions two angles - relative youth and tee to green accuracy - both of which apply to my pick. At 30, stamina shouldn't be a problem for Steven Brown and he's precisely the age when most players start to peak. He's started his rookie Euro Tour campaign well enough, recording his third top-20 and best result to date with seventh in Sicily on Sunday. In his last eight events, he averages an impressive 72% of greens in regulation. Another big positive is Brown's consistency in 2017. He made his last 21 cuts, including six top-seven finishes on the Challenge Tour. The name of the game this week is to make the 64-man cut, then start level going into the knockout. At that stage, avoiding mistakes by hitting greens in regulation will be at a premium. In truth, I'll be surprised if an outsider wins the Byron Nelson. Trinity Forest sounds like the real deal - the closest to a UK links we've ever seen in the USA. Very few will have much experience of such a course, let alone prowess, and the cream are likely to rise to the top. As in Belgium, there's a lot of guesswork involved but several clues to nonetheless utilise. Check out Steve's preview for a comprehensive overview. Various courses have been noted as presenting a similar test, including recent US Open venues Chambers Bay and Erin Hills. Jordan Spieth won at the former and says Royal Birkdale, where he is of course reigning Open champion. Our purpose here is to find outsiders but this is one of those rare occasions where the favourite appeals. So far as the stats go, three pointers spring to mind. First, Steve is spot on to prioritise strokes gained approach to the green and I'm also very interested in strokes gained around the green. Scrambling sounds extremely challenging, with predictions of putting catastrophes. Three-putt avoidance may also be one to follow. Summerhays ranks third in the last named stat, despite what has otherwise been a poor season. Likewise, 57th for strokes gained around the green is respectable given results and the calibre of players above and below that ranking. Short game has always been his forte and he has brought it to majors before, finishing top-eight in both the 2016 US Open and USPGA. Indeed, during that season and 2015, Summerhays was very consistent in the big championships on tough courses. 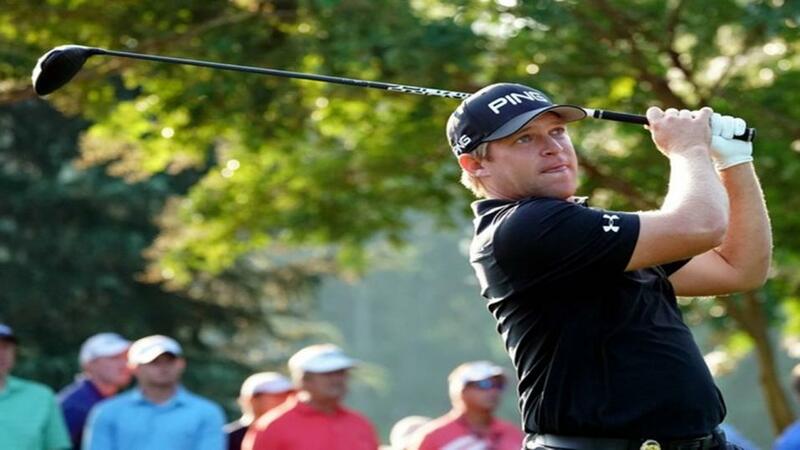 That form has deteriorated markedly but there have been recent promising signs, finishing eighth alongside Tony Finau in the Zurich and sixth in a Web.com event. He has a fine record at another exposed Texas layout, San Antonio, and is fancied to appreciate this test more than most. The current Birkdale champion may be out of range for outsider backers but we can have a cheeky punt on the previous one. Harrington may be a pale shadow of his three-time major winning self nowadays, but he is still capable when conditions suit. Last year he managed a couple of top-fours in good European Tour events and he won a title in each of the three previous years. The key to those good results in Europe was having plenty of room off the tee, negating his ruinous weakness. In terms of approach play, imagination and short game, Harrington can still produce something reminiscent of his peak. If anywhere is going to bring it out, an exposed links with no rough and a premium on short game is it. For a change, very few alternatives came in for serious consideration in either event. In Belgium, Lorenzo Gagli and Christiaan Bezuidenhout were on my list but are trading just below [100.0]. In the States, Abraham Ancer is interesting around [210.0] on the basis of his early form and scrambling stats, including in Texas. First reserve is a massive outsider - Greg Chalmers at [450.0]. I think Aussies will appreciate some similarities with their sand-belt courses and his forte was always scrambling. He leads the three-putt avoidance stats and has a couple of decent form claims in 21st at Quail Hollow and 17th in the Honda.